We just started our Ayurvedic cleanse. 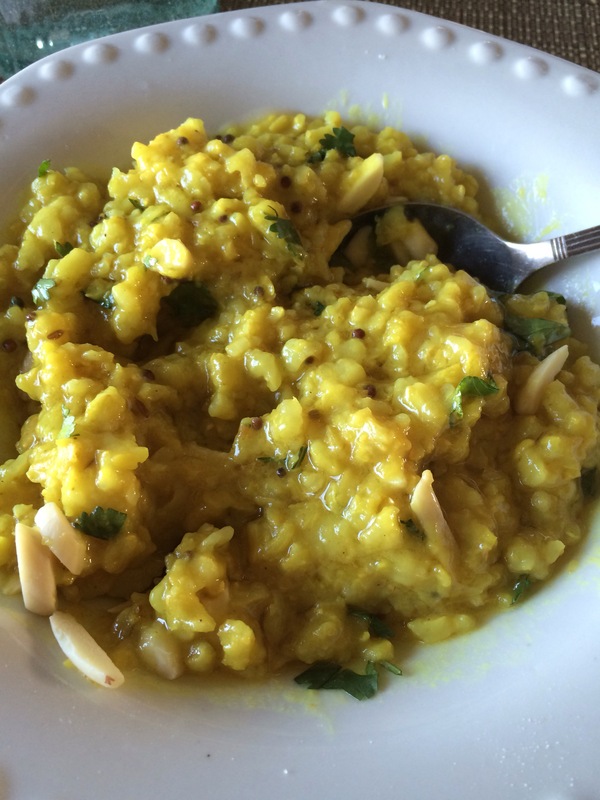 This is a wonderful bi-annual practice of eating Kitchari for lunch and dinner every day for a week (or more) and rice for breakfast. Basamati rice, raisins, almonds, cinnamon and ghee. I cook the rice in the crock pot over night. Add the raisins etc in the morning. Kitchari makes me want to lick my bowl when I’m done. Basmati, mung Dal bean (looks like lentils), kitchari seasoning from Banyan Botanicals and ghee. It all comes in a kit along with detox tea and Seasame oil for self massage to run out the toxins. Also a bottle of Triphala to take at night for added cleansing results in the morning. I cook the kitchari at 8:30 am in the crockpot on high and it is ready at noon. There is enough for 4 meals in the directions on the kitchari seasonings. 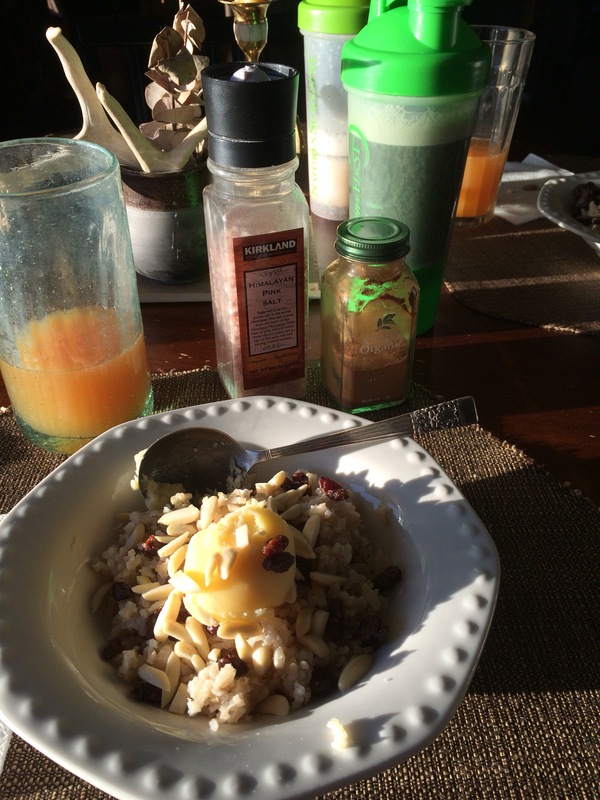 The rice makes enough for four breakfasts at 1 cup rice, 2 cups water. I always double that because I like to have extra rice around. I cook the kitchari on low in the crockpot overnight if we are taking it with us the next day. We always add cilantro, more ghee, and Himalayan salt. You can add veggies if you want but this is the way we love it. After doing this fulfilling cleanse you have a nice feeling of accomplishment of being disciplined and for some reason it is very easy to say, ‘sorry, we can’t eat that (fill in the blank)_______unhealthy food. We are on a cleanse.’ Then when it’s over, you have created a healthy habit of saying no, but the greatest thing is you just don’t want that garbage in your nice clean pipes! 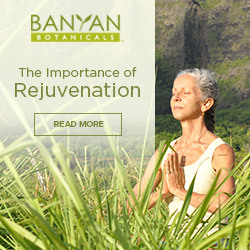 All the info on cleanses is on Banyan Botanicals website. Just click the top picture for more info.